Valentino on day 1. Untreated eye abcess. Removed from plant nursery with his family, as not getting adequate medical attention. Valentino a week after treatment under committed and compassionate volunteer Kim. 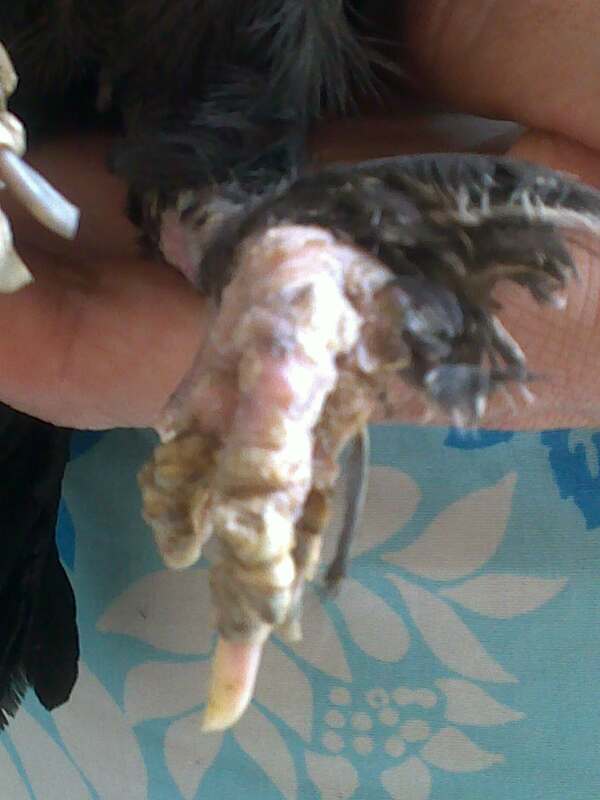 Painful foot mites, also left untreated. Bed time for this cute crowd. Kim offered to volunteer under our banner to care for this family until Valentinos eye healed, foot mites clear, and we find a suitable home for them. See Kim’s fabulous update below. On Saturday I was contacted by a woman Kim, who has re homed some chicks as pets for us before, and also taken a little exotic Canadian red head duck, Mo from us. 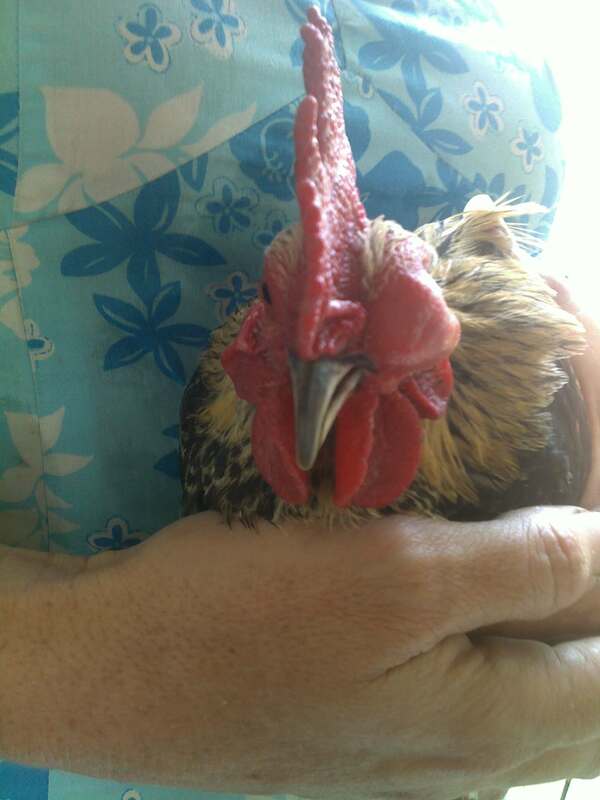 Kim said she had seen a bantam rooster at a plant nursery with a swollen eye. He was with his family of 7, and the owners had no intention of getting him medical attention. Together we went back to the nursery and I managed to negotiate to take the rooster, and his wife and a small donation to cover some of his medical costs. 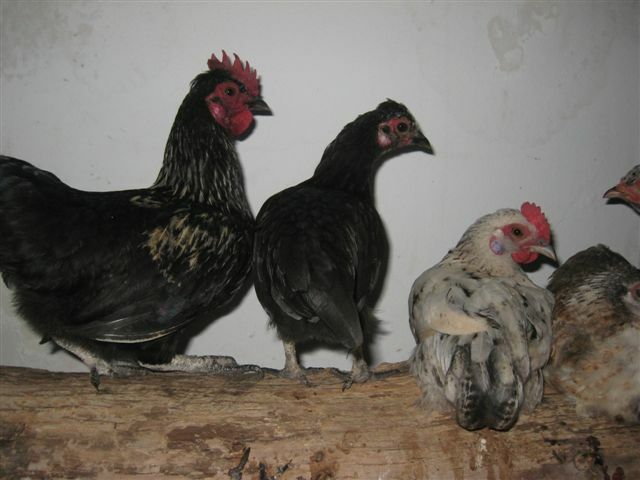 Sadly, at the time we were not given the chicks, although later the owner agreed to let us re unite the family, so he would not have to treat the chicks as well. Valentino was taken to our fabulous vet Jean Davidson at Craighall veterinary clinic. Jean said it was an abscess, but that he also had foot mites. Both needed to be treated. I informed the nursery that the parents had foot lice, and it was contagious to other birds. 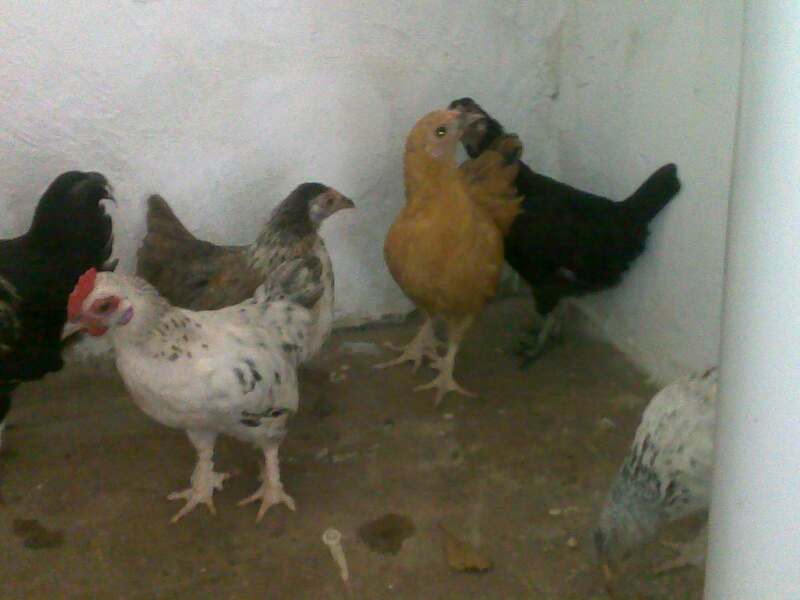 They asked us to collect the chicks as well. Family re united. Kim has kindly offered to do all the nursing and care of the family in a volunteer capacity under our banner, until they are healthy and we can re home. Valentino had his op yesterday. Jean managed to drain a large amount of pus out, but not all. 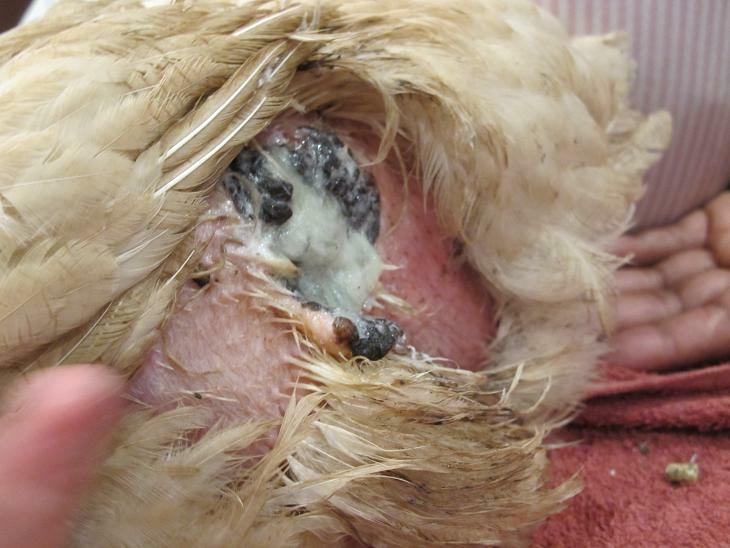 The abscess has been untreated for so long, that it has made a permanent hole in his palette. Soft food for a while is indicated. He goes back on Thursday for more treatment on abscess. In the interim he needs anti bios and softening of the abscess with a weak betadine solution. 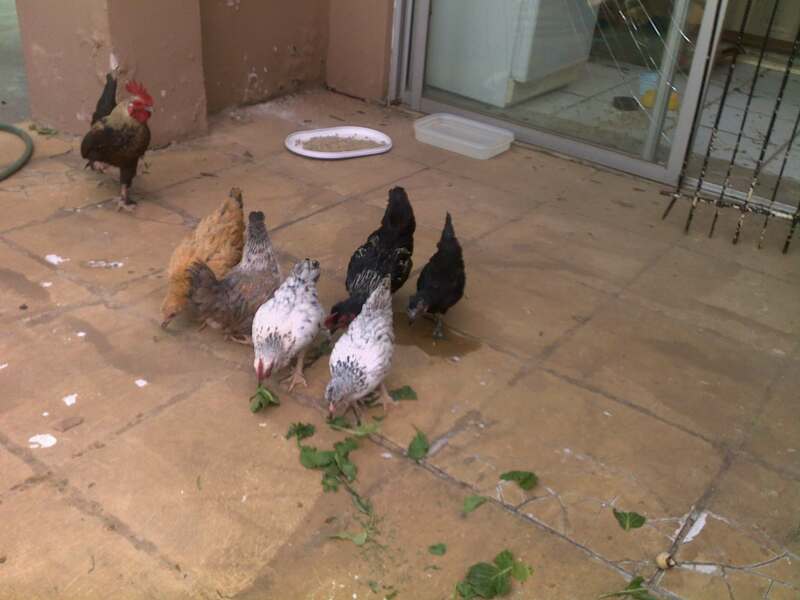 We are looking for a home for this lovely family. We will conduct a pre home inspection. Feet look scaly and porous. Almost like pumice stone. In many cases they have beige coloured calcified growths on them. These make walking painful and ultimately difficult, depending on how long the mites have been there. Soak feet 2 to 3 a day in a weak, warm water betadine solution (the iodine kills the mites). Massage feet with aqueous cream post soaking, and gently start to soften and work some of the calcification of the feet. This must be done slowly and gently over a few weeks. Do not start picking. 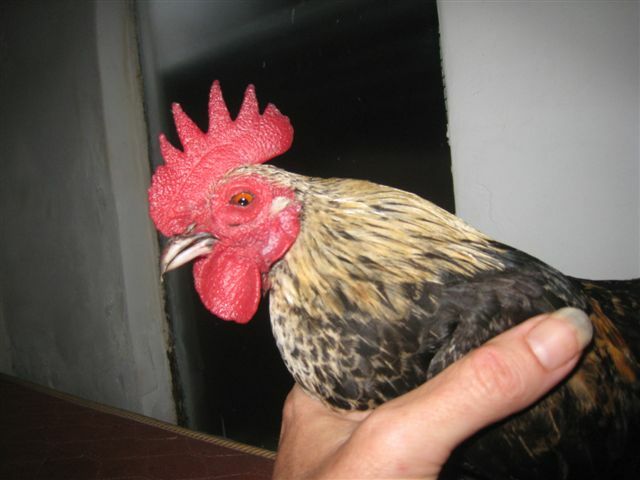 This may make the feet bleed, and is not only painful, but leaves the chicken open to infection. 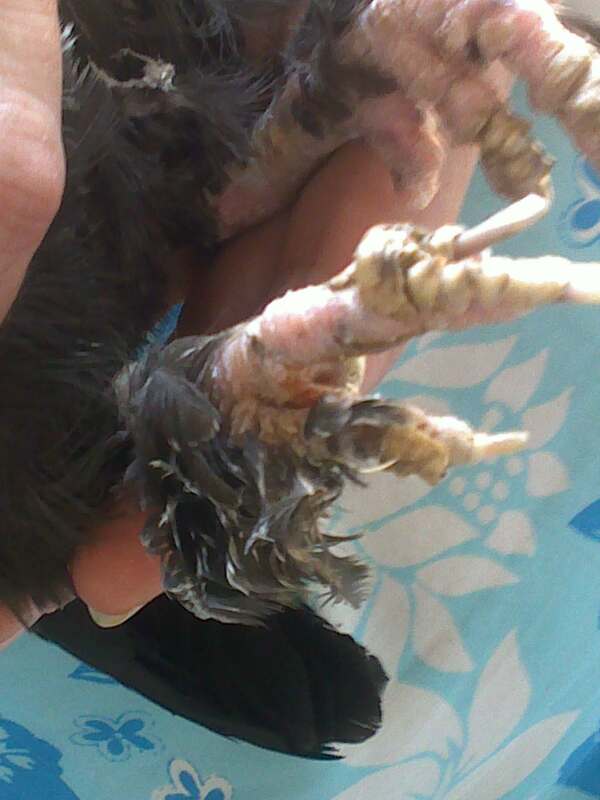 Continue this treatment until the feet are clean, healthy and mite free. Foot mites are contagious (other birds). 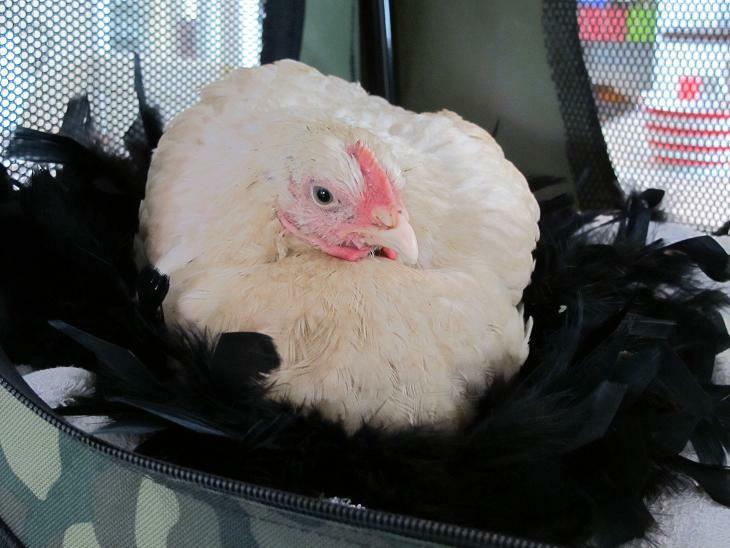 Our most recent addition to the sanctuary is a baby broiler (broilers are genetically modified for accelerated growth for the meat industry). This is Muk Muk. On Sunday my car broke down out in the Magaliesburg mountains. 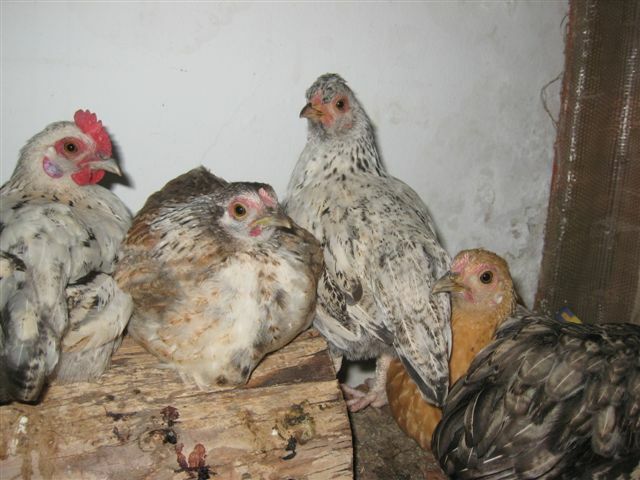 I stopped at a roadside pub for assistance, and found an open (no shelter from elements) with aprox 40 broiler chicks in it. They were starving and had no water. The temp was 34 deg Celcius. I managed to negotiate immediate food and water for them. It was pathetic. They were cannibalising each other, and clambering at the fence to try and get out. In amongst the mayhem of chickens fighting for the food and water now provided, I spotted a broiler with a large tear in her/ his side. I confiscated her immediately, and brought her home. Her name is Muk Muk. On Sunday I was able to give her pain meds, clean the wound and apply an anti bio cream. 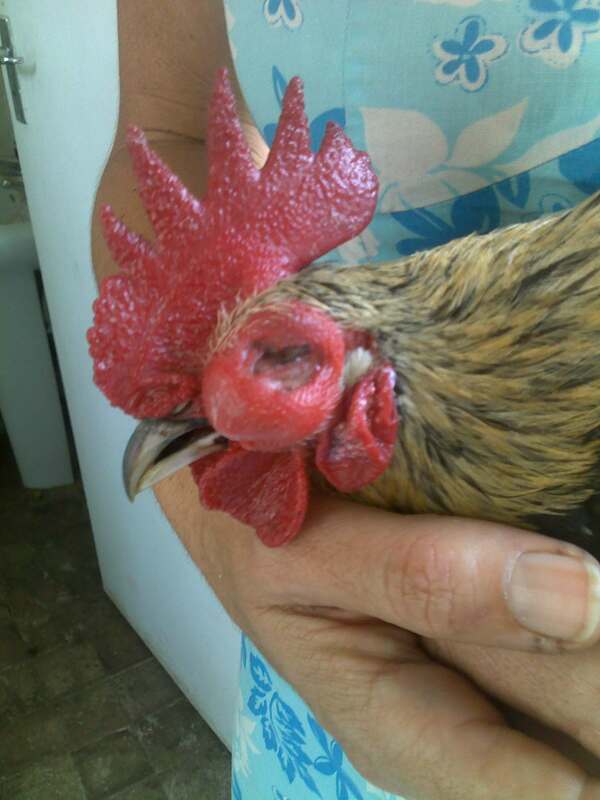 Jean, our vet, checked her yesterday, and we continue with the same treatment, trying to get some of the grimy dirty scab that formed to slowly peel off at the edges. We can safely do this over a week, without subjecting her an anaesthetic and large painful clean. Muk Muk is on a low calorie, high fibre diet. I would like to try and slow down her accelerated growth at this vital time of ligament, bone and muscle growth. This is her best chance of a successful life as a broiler. 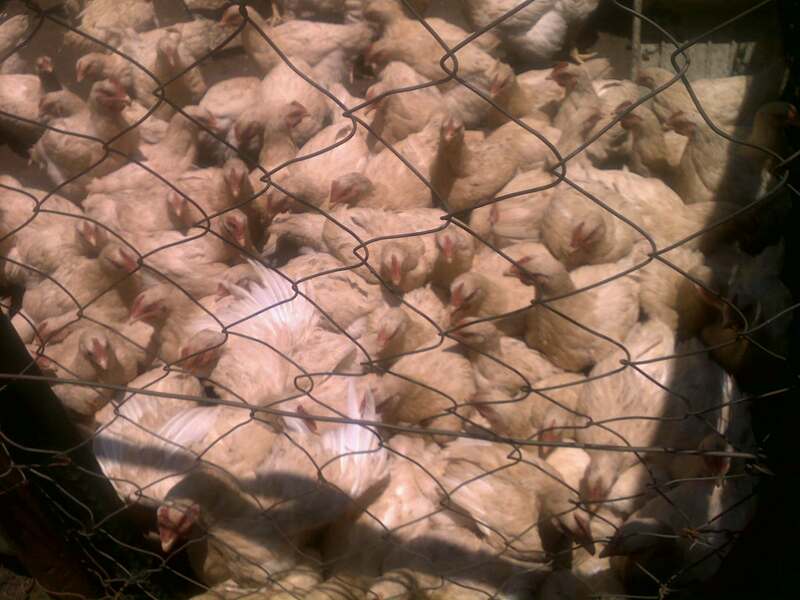 Again I am reminded of how grotesque and disturbing it is to deal with a young broiler. Large body, oversized legs, tiny comb, and a peeping chic inside that body. 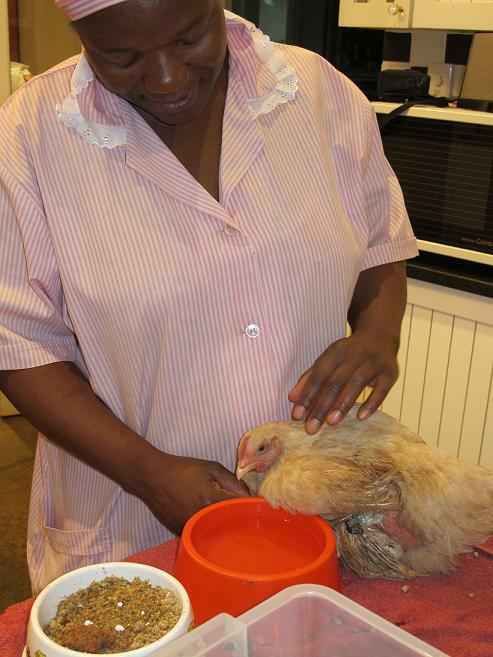 Muk Muk is looking for all the comfort and assistance of that of a 4 week old chick. In two weeks, she would have been ready for slaughter. This is the meat people eat.